I empathise with solitary bees. 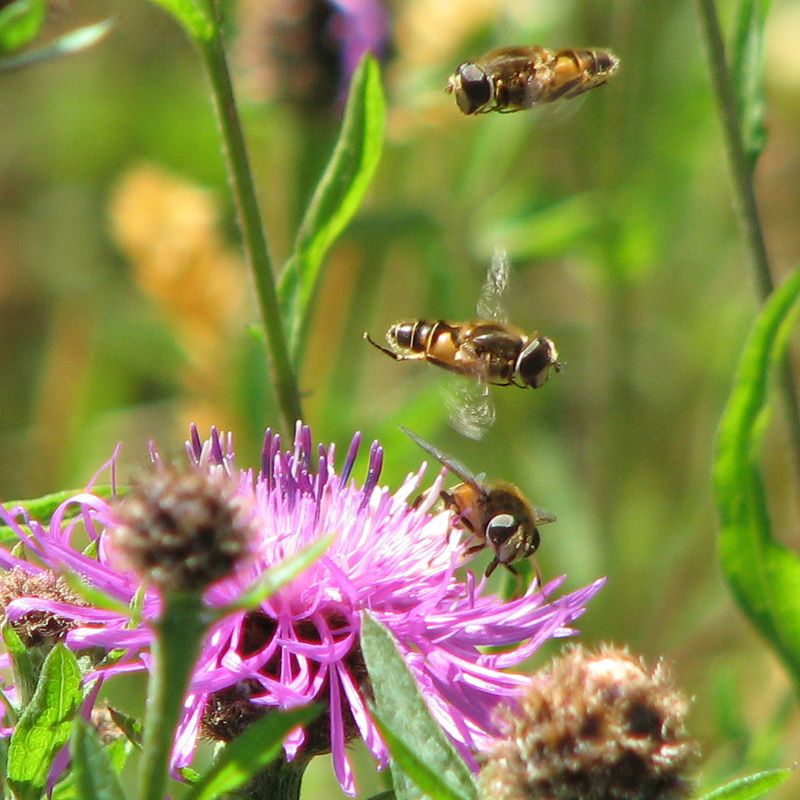 When we think bee I guess we tend to think of honey bees – the one species of truly social bee we have. They chat to each other and work in groups. They work to the greater good and share their tasks. It’s difficult not to think they derive some form of pleasure or satisfaction from their relationships with each other. 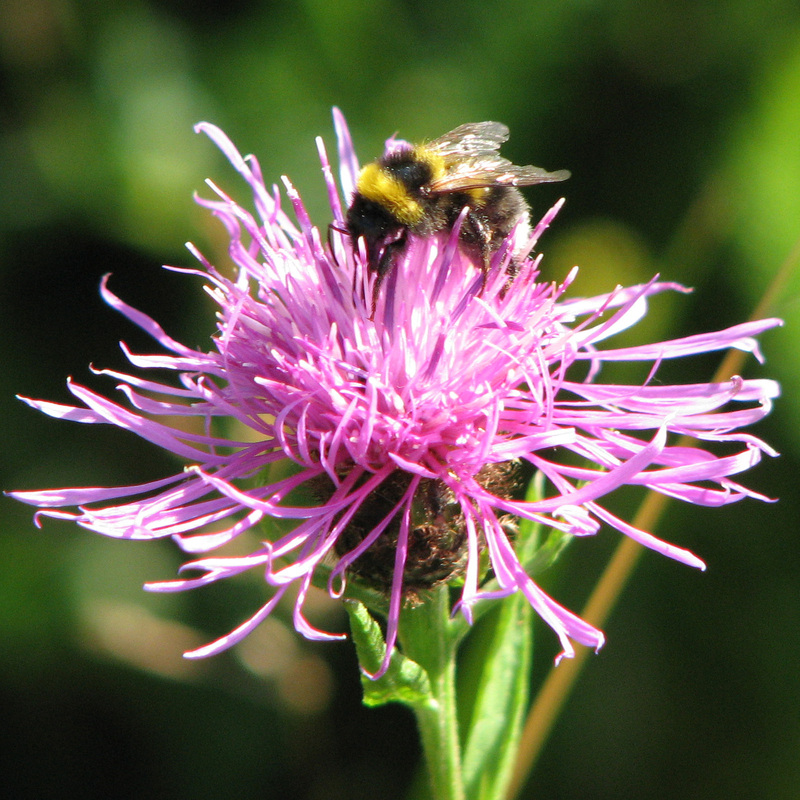 Bumblebees – technically “eusocial” – also belong to their own family in a nest. The queens are obvious and attractive and her sisters are “the sound of summer”. Everyone loves bumblebees. 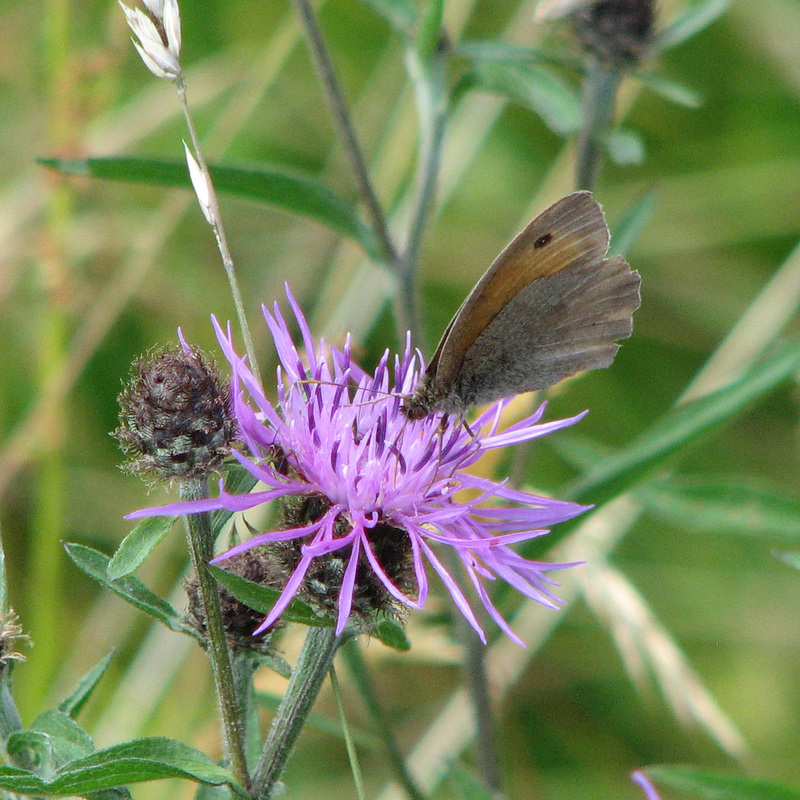 But at this time of year, while honey bees and bumblebees are beginning to buzz around the garden in larger numbers, their overlooked cousins are starting to appear. The solitary bees are emerging. Which type of bee is most “important” to us in its role as a pollinator is a moot point, but it seems sensible to think it’s these guys. 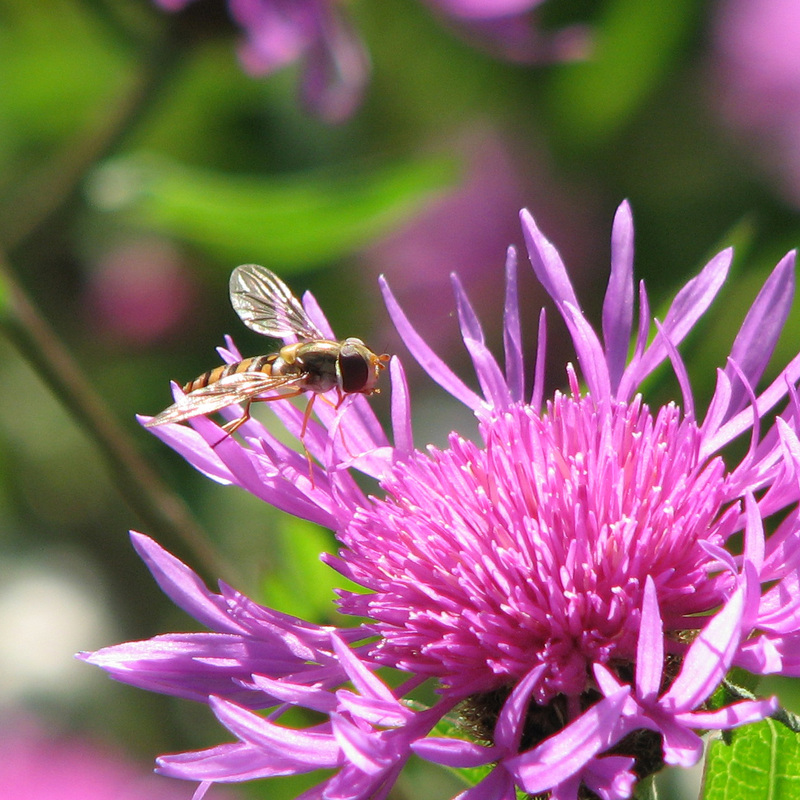 For a start, there are well over 200 species in the UK – that’s a lot of different bees adapted to pollinate a lot of different plants. They live everywhere; in holes in the ground, in walls, roofs, cliffs, and plant stems – I even have them in my bee hives, rather weirdly. 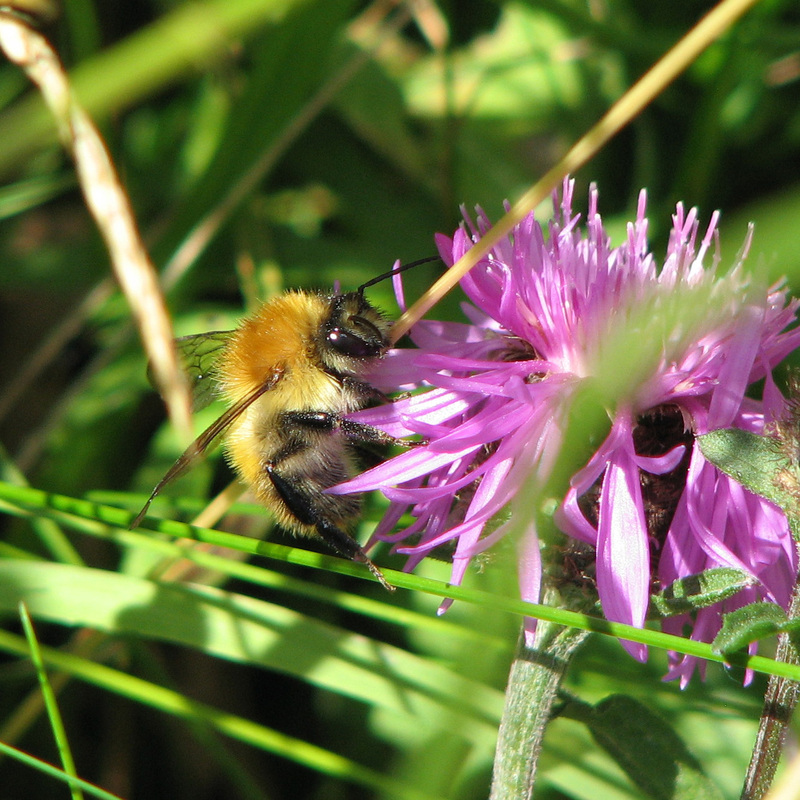 It’s easy to persuade some of them to nest in an artificial bee box, unlike bumblebees. These are one piece of paraphenalia produced by the wildlife industry which work pretty well. You can even buy them with viewing windows in the side. 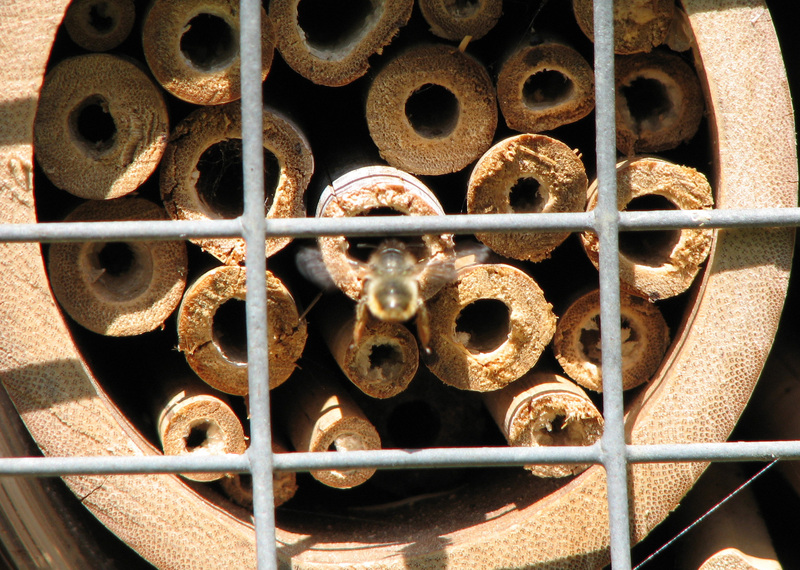 If you wanted to make sure you had the optimum design you could even solitary bee houses. There’s something rather plaintive about solitary bees. Their lives are brief and single minded and they go about them quietly, unnoticed and unheralded. Like so much of what’s living in our back gardens, unless we looked for them we wouldn’t know they were there. 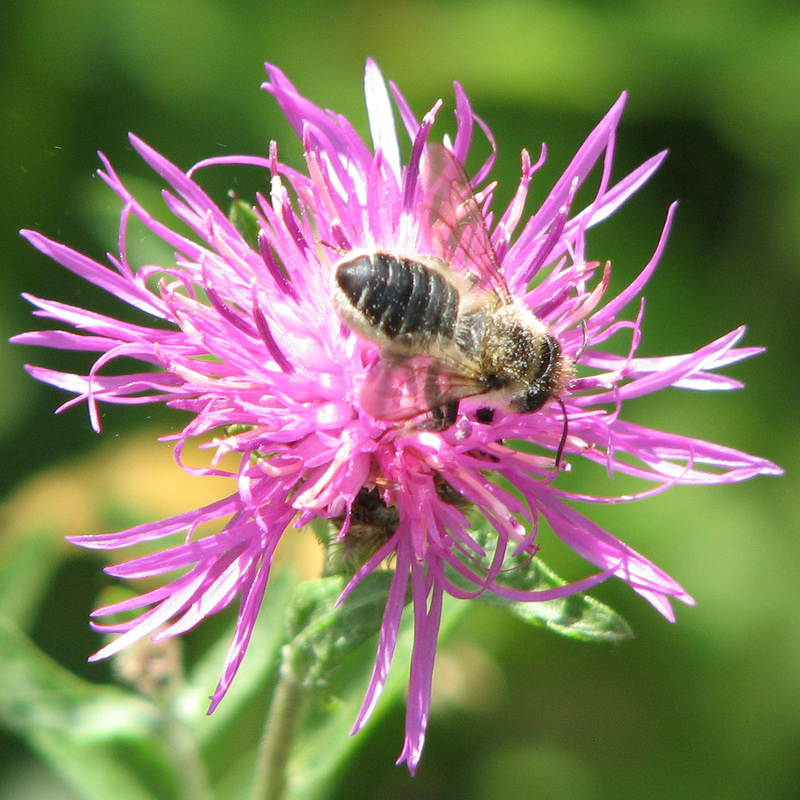 Like other bees, all the males do is mate and generally lead a sybaritic existence. They are the first to emerge from the row of eggs carefully laid and provisioned the previous year, and hang around waiting for the females to appear. The eggs inside the nest hatch and the larvae eat their food before making a cocoon and entering their pupal stage, which is how they overwinter – on their own, imprisoned in the dark for a year. The moment when they emerge is really magical. 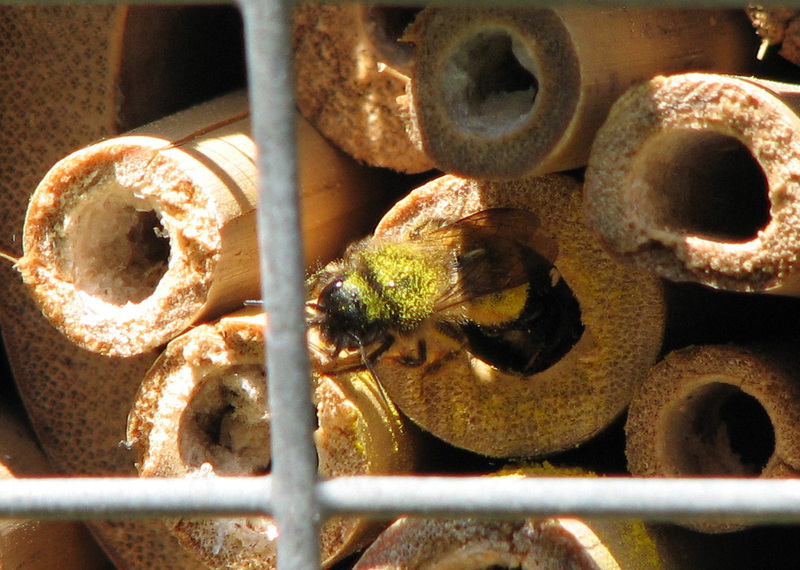 I saw one break the protective seal at the end of its tube in one of my bee boxes this morning. After a poo and a brief stretch in the sun he spent the next half hour loitering around the box waiting for a female to follow. 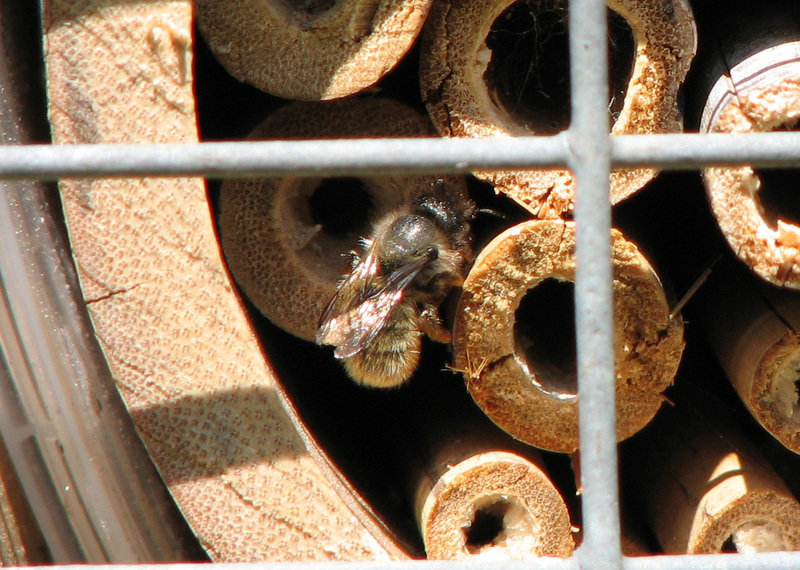 The more common species are mason bees (like this one) and leaf cutter bees, Osmia and Megachile. The female bee finds a good spot to lay their eggs, and provision the end or bottom of the crevice/tube/hole/stem/etc. with a food bed made from pollen. She then lays an egg, and protects it by immuring it with a stopper of mud or leaves, making a cell. 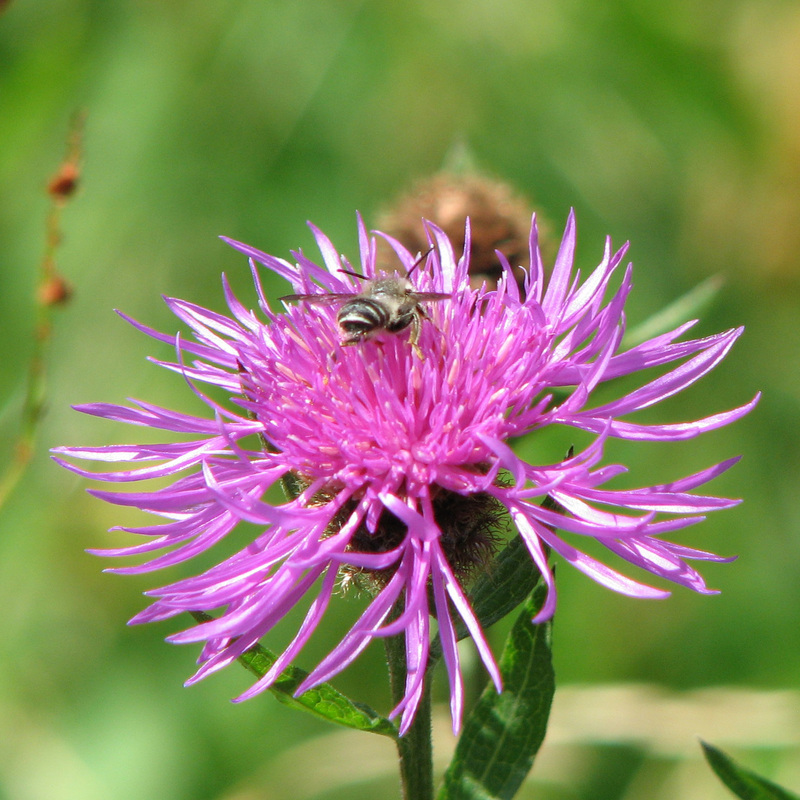 This is not a guarantee of safety; solitary bees have their own parasites and predators. She then repeats the operation. When she gets to the top of the nest she might leave at least one cell empty, to persuade woodpeckers et al there’s no-one at home. This often fails. Her work rate is phenomenal. She is constantly to and fro, looking for nest sites or gathering pollen, mud or leaves, which she works assiduously to protect her offspring. And then, after around a month, she dies. 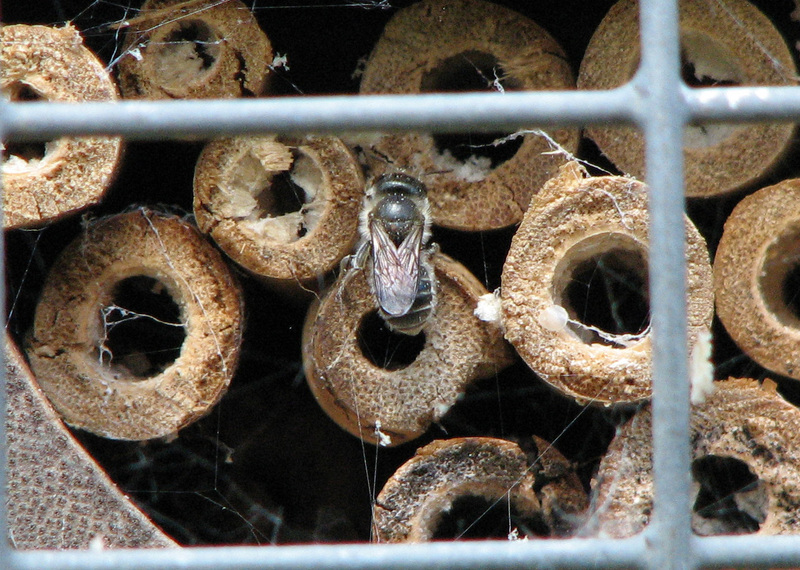 I had an engaging day over the weekend at the Kingcombe Centre in Dorset learning about solitary bees and wasps. I knew a bit about them – particularly solitary bees – but now I know a whole lot more, particularly about some of the weird wasps out there. Your back garden is home to all sorts of completely unexpected solitary wasps. Spider and bee killing wasps. Wasps that dig and wasps that build nests. Tiny wasps and wasps with enormous needle like ovipositors. 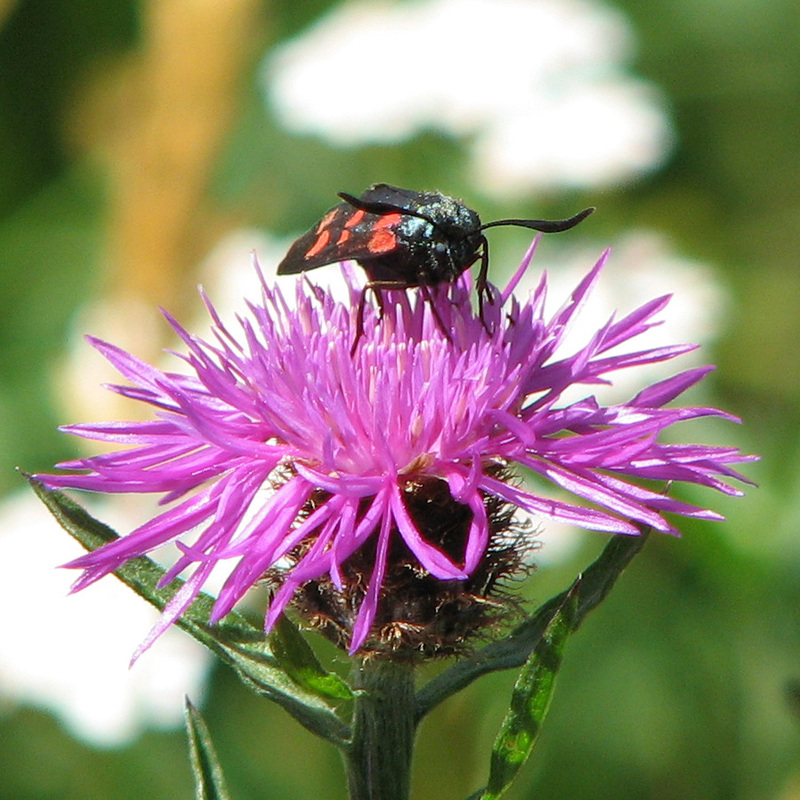 I think I can tell all the Apoidea (bees) from the solitary and social wasps (Scoliodea and Vespoidea) now, and the terrifying Pompiloidea (spider-hunting wasps) from beautiful metallic cuckoo wasps (Chrysidoidea) and digger wasps (Sphecoidea). Our instructor Bryan was entertainingly rude about honeybees and Spheksophobics (another cool Latin word). 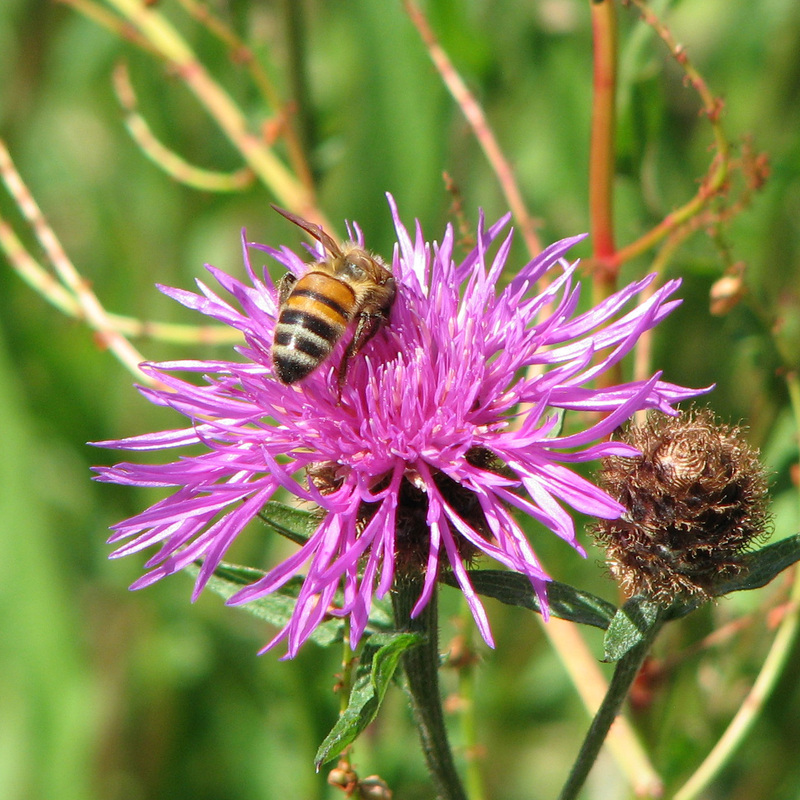 Why all the fuss about a single bees species – honeybees – he asked, when there were hundreds of other completely ignored solitary bee species out there? 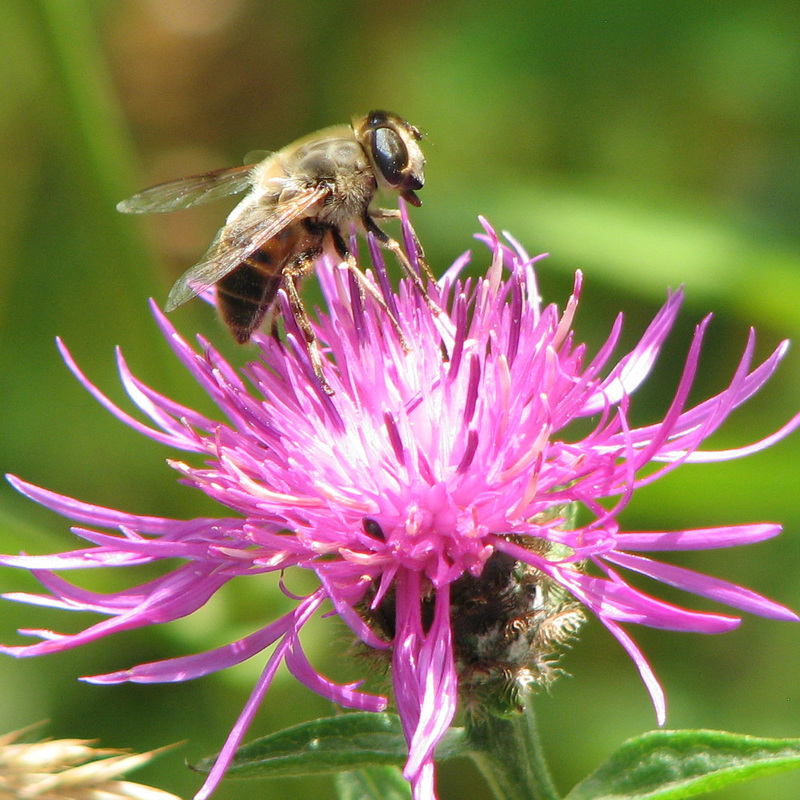 Of all shapes and sizes, they pollinate all manner of plants the honeybee couldn’t*. And why did people not realize the good wasps do – even those pesky social wasps, whose colonies do for an average 150,000 garden pests in a season? 1. People’s perceptions of what is going on outside their back doors can be easily and dramatically changed. 2. We know the square root of nothing about what is happening out there, and display an amazing lack of curiosity about it. 3. We can create micro habitats for an incredible and beguiling variety of invertebrates more easily than spelling “Hymenoptera”. Doing it is an enjoyable business. So I’m drilling more bits of wood for solitary bee houses to plonk on our green roof and trying to overcome my own pet phobia, born of years of incomprehensible science lessons – long classical names. I want to grow some fruit trees, but where do I start? I don’t understand pollination groups or rootstocks, or the difference between a stepover and a cordon and a maiden and a bush. Help! 1. Which fruit do I/we like? Grow the fruit you want to eat! Delicious they may be to some, but I’m not very keen on Medlars – so there’s absolutely no point planting them. Although it’s easier said than done these days, try to find different varieties to taste. Although they’er not West country varieties, I’m a big fan of the apples Ashmead’s Kernel and St. Edmund’s Pippin, which we’ll be planting; I originally tried them at a local farmer’s market – no way would you find them in a supermarket. 2. What am I going to use the fruit for? Is there a keen cook in the house? If there’s someone who wants to make jams and flans it will not only influence the varieties you buy, but also the volume of fruit you can deal with. You’ll also need appreciative consumers. You might not like cider, but everyone loves home made apple juice – which you can freeze as well as drink fresh. An orchard sized apple tree can produce something like 1000lbs of fruit – that’s a lot of apple juice! If you have several of one type of fruit, make sure they ripen at different times and/or that you’re buying a variety that stores well. 3. Do I want anything else from my fruit trees? You may have secondary considerations to think about, maybe aesthetic. You might want particularly attractive blossom, of a certain colour and/or timing, or you might like nice looking fruit. In the Mann household there are other considerations too – I like early flowering varieties for my bees, which leads me to looking at more exotic options like Almonds. 4. How much space do I have? By grafting onto rootstocks of different vigour you can have a tree of the same variety but very different size. Obviously, you’ll get less fruit from the smaller trees, but they can be a lot more convenient. We only sell varieties grafted on larger rootstocks – see here for details of sizes and planting spaces – but you can find really dwarfing rootstocks or, alternatively, “cordons”, which can be planted under a metre apart. You can buy trained forms as well, to grow up walls and along paths. 5. What are the local conditions like? It’s no coincidence that we are surrounded by apples as we have heavy soil and wet weather, which puts paid to Quinces, for example. Perry Pears do well hereabouts too, which explains why Babycham was made down the road. Plums, on the other hand, prefer lighter soils. They will stand the wind though and, consequently, work well in exposed sites or around the edge of a mixed orchard, where they will protect other trees. By way of contrast pears need sun and shelter. If you’re not sure what will do well in your own garden, do some research. Have a look around to see what’s growing close to you, and find out if there are any trees which have either orginated from the area or were widely grown. 6. Do I need to think about pollination? Mostly not. Apples are easy; there’ll generally be another apple or crab apple within a quater of a mile to act as a pollinator. Most plums and gages are self fertile. The only tricky customer is the pear, most of which are self sterile, so will need at least another tree in the vicinity. If you’re worried consult a pollination list, but I suspect the most important thing you can do to encourage pollination is to encourage the pollinators. 7. How big a tree should I buy? This is a different question to any consideration about rootstocks. You can buy a one year old “maiden” tree, which is little more than a stick, and if it has been grafted onto a vigorous rootstock it will grow into a tree over 4m tall in no time. It’s tempting to buy as big as tree as you can find; you’ll get fruit quicker and it will look more impressive where you need it to. On balance, though, try to avoid it. It’s not so much the obvious cost differential as how well the tree will develop – you’ve got a much better chance of successfully growing a long lived and healthy tree from a small sapling as from a larger tree (say 6 foot and over) that’s been wrenched out of the ground to get to you. You won’t have to stake it or dig a whopping big hole to plant it in, and it has a much higher % of its root system intact. Simples. Within a few years the sapling will overtake the bigger tree anyway. Don’t – whatever you do – buy some fancy semi-mature or even mature fruit tree. It will cost you a fortune and it will fall over. I’ve put a tentative fruit tree order in for this autumn’s bare root planting season. I’ll be getting the trees from me, if you see what I mean, but if you don’t buy your trees from Habitat Aid please use a specialist British nursery. A report in Which? Gardening magazine, covered by the Daily Telegraph, tells us what we already secretly knew; that many “wildlife shelters” bought in shops don’t really work. 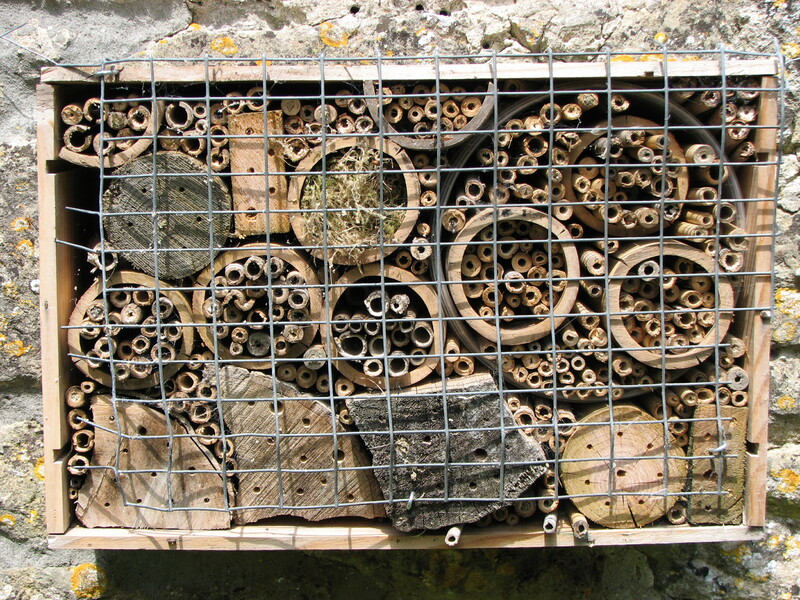 An honourable exception in the report is the solitary bee box which, like ours on the left, is often better home-made anyway (many commercial boxes have only one or two sizes of hole and typically aren’t deep enough). The report talks about bumblebee nesters as a typical example. 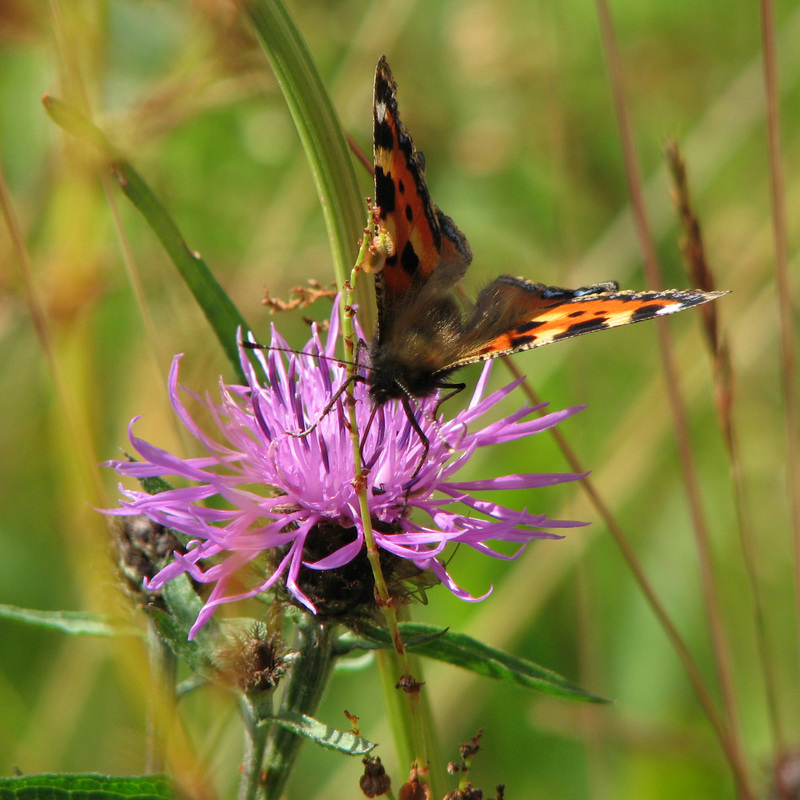 We’ve always said to people that we’d prefer them not to buy them, and that they should rather concentrate on recreating bumblebees’ natural habitats. I could understand their apparent reluctance to do this if bumblebees, like other pollinators, needed unattractive plants. I could understand it if it were difficult or expensive to establish and manage these flowers. They are in fact lovely, they’re relatively cheap to buy and they’re easy to manage. Perhaps folk buy the nesters as part of an accessorization of their garden. Perhaps they buy them as a gift, or as a nod to “wildlife gardening”. From the retailer’s point of view it’s excellent news if they do, as they are easy to ship and carry a much better margin than plants. Good luck to them, but as a symptom of a broader problem it’s depressing. 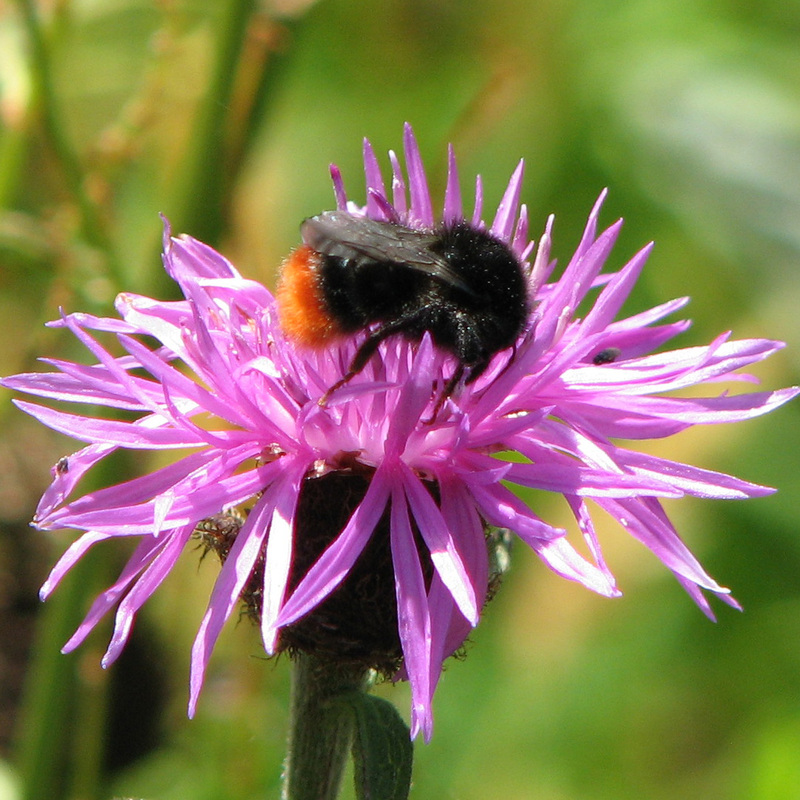 People are going to help and attract bumblebees if they plant the right flowers for them, regardless of how many nesters they have or don’t have. 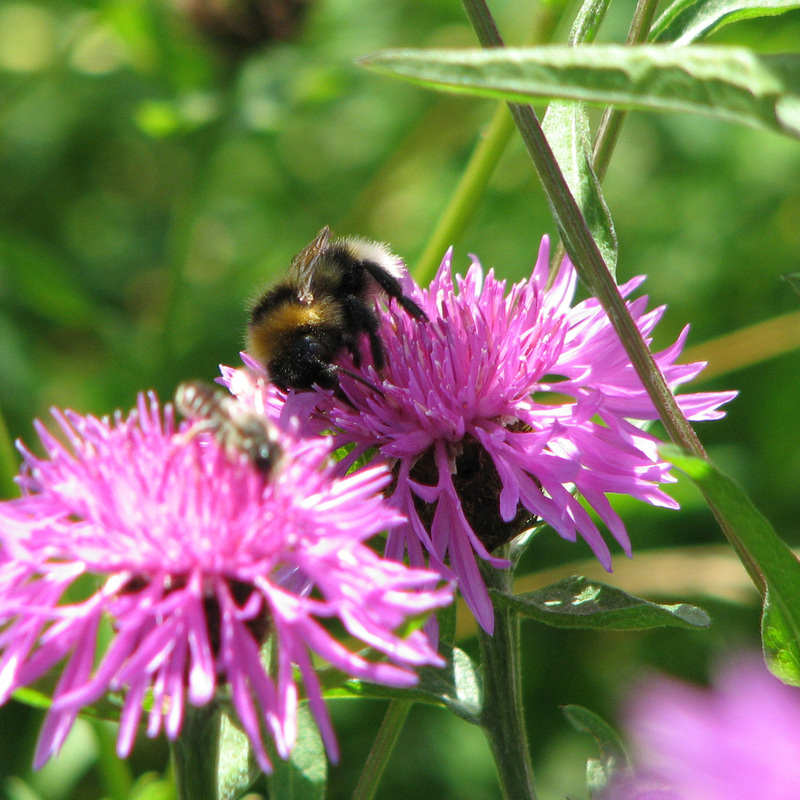 And it’s important they understand this; the Bumblebee Conservation Trust describes gardens as “a stronghold for some bumblebee species”. How can we persuade folk that they can’t buy a brand new ecosystem-in-a-box at B&Q, take it home and unroll it in the back garden? The key to helping their favourite animals is to mend the broken one they have out there already. Late last summer we made a a box for solitary bees out of an old wooden wine box and assorted bits of bamboo, blocks of wood and elder stems, topped off with some wire to stop the woodpeckers pulling it to pieces. We followed the guide at foxleas.com, which was very helpful and led us to a rather different design than many of the commercially available boxes. What started off looking like a piece of wacky sculpture has now turned into a busy bee house. In contrast to bumblebee boxes, a sensibly designed and sited solitary bee house seems like a surefire winner and it seems like a really good wet afternoon project for the children. You can buy interesting ones too. Miner bees have stoppered around a quarter of the tubes with mud already, with their eggs laid snugly inside with stores – these are the chaps I’ve been watching gather building supplies by the pond. I think there are also leafcutter bees in residence too, but I’m struggling to identify them and the more I struggle the more different species I notice. Help! My bumblebees are quite good now but these defeat me utterly. 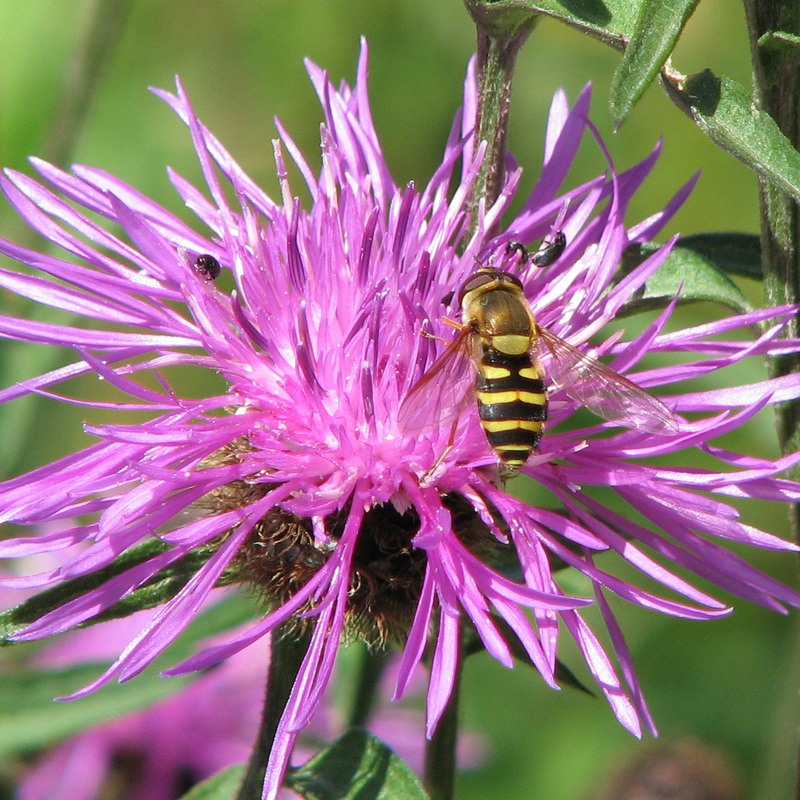 There are apparently over 200 solitary bee species in the UK (! ), which is pretty testing for a non-specialist – is there anyone out there who can help me identify these three? 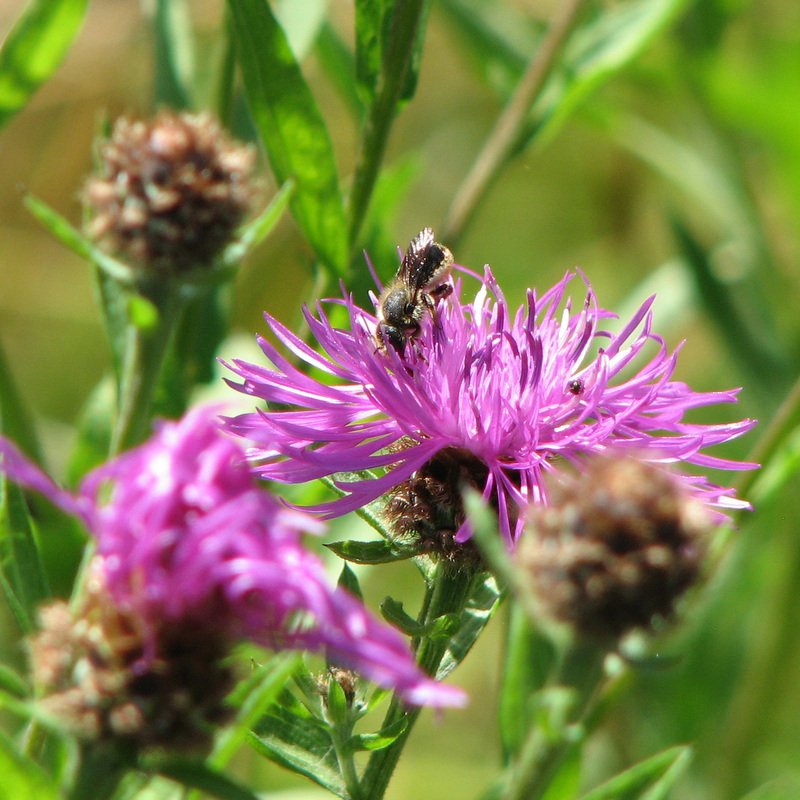 Red Mason Bee (Osmia rufa)?